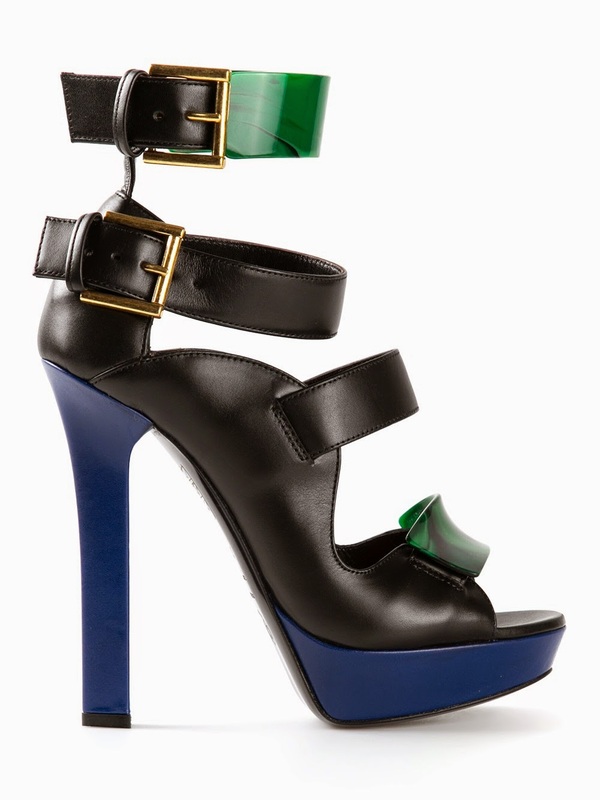 Multicoloured leather tri tone sandal from Alexander McQueen featuring an open toe, a platform sole, double side buckle fastenings, marbled green plates and a high heel. Oh, and a whole ton of sass. Click the image to add yourself to the waiting list or alternatively you can get them (very limited stock) on FarFetch UK. They are retailing there (inclusive of import duty) at £1,379.13.